Gemma Bulos is a multi award-winning social entrepreneur, musician and the Director of the Global Women’s Water Initiative. 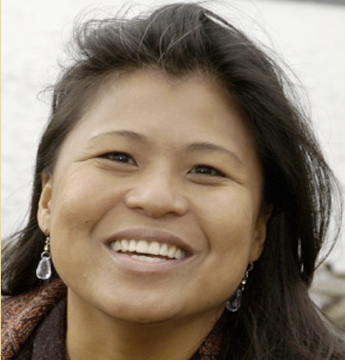 Prior to stepping in as Director of GWWI, Gemma was the Founder/Executive Director of A Single Drop (USA) and the Founding Director of A Single Drop for Safe Water in the Philippines, developing innovative programming that creates income-generating community-led water service organizations. For this innovation, Gemma received national and international social entrepreneur awards including Echoing Green (International, 2007), Ernst Young (Philippines 2009) and Schwab Foundation (Asia 2010), and others. Her programs also won accolades including the Tech Museum Tech Equality Award (2010) and Warriors of the UN Millennium Goals (2010), sponsored by Kodak Philippines. In 2011, she was recognized as one of the Most Influential Thought Leaders and Innovative Filipinas in the United States. An international speaker, she has spoken alongside such dignitaries such as Jane Goodall, Vandana Shiva, Wangari Maathai and others. The catalyst that started her mission that has provided over 210,000 people with clean water and sanitation all started with a song she wrote in response to 9/11 called "WE RISE". Gemma mobilized an unprecedented Million Voice Choir in over 100 cities in 60 countries to sing together in celebration of Peace Through Clean Water based on the notion that 'it takes a single drop of water to start a wave."